Happy Friday!! Been meaning to share my birthday party so here I am! 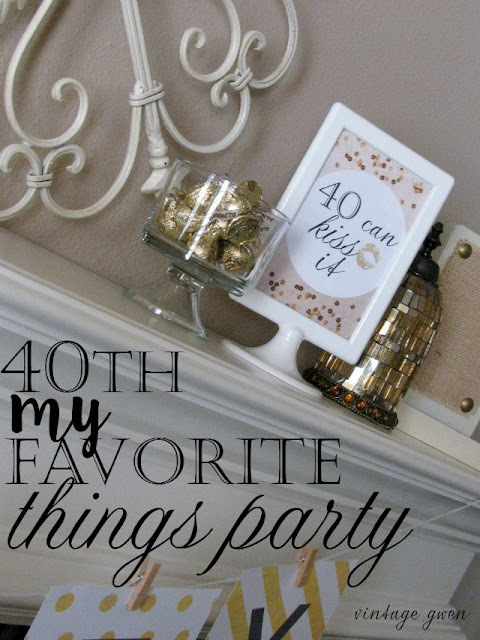 This year was a milestone for me...the big 40! And I'm still having a hard time believing that's my age! I wanted to celebrate how I wanted to and gave myself a party. Since I'm a big girl now that is most definitely allowed!! 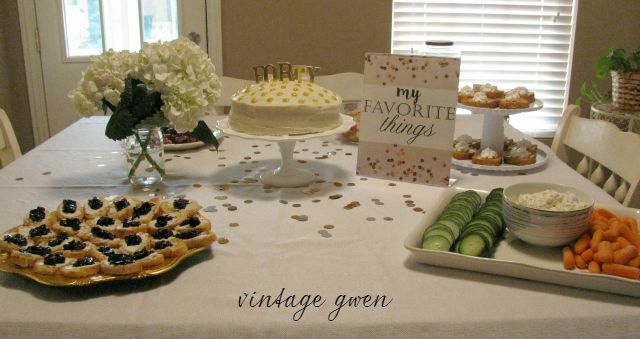 I'd been wanting to have a My Favorite Things party and this was the perfect time for the maiden voyage! And let me just tell ya....it was so much fun! I made an invitation that I just texted out, some signs, and a tag and coordinated them all. 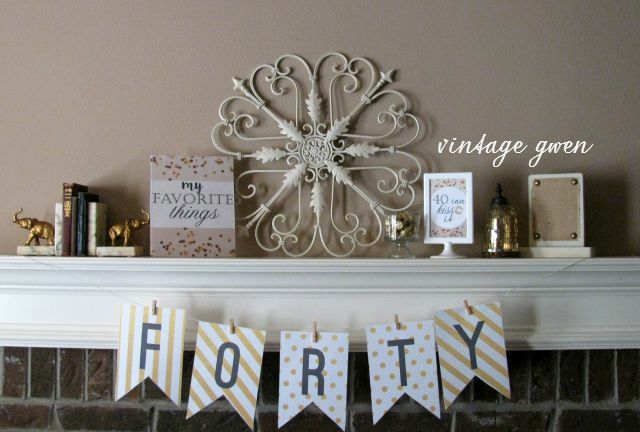 I then found a Printable Gold Banner by Somewhat Simple and printed out the letters to spell FORTY for my mantle. 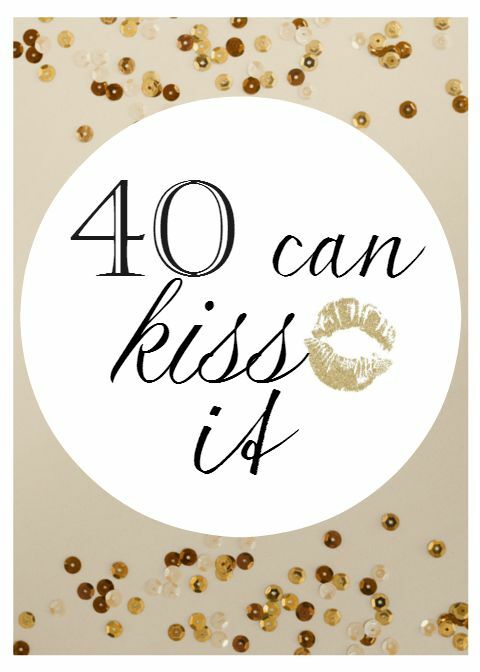 I found the "40 can kiss it" with Hershey's kisses idea on Pinterest. 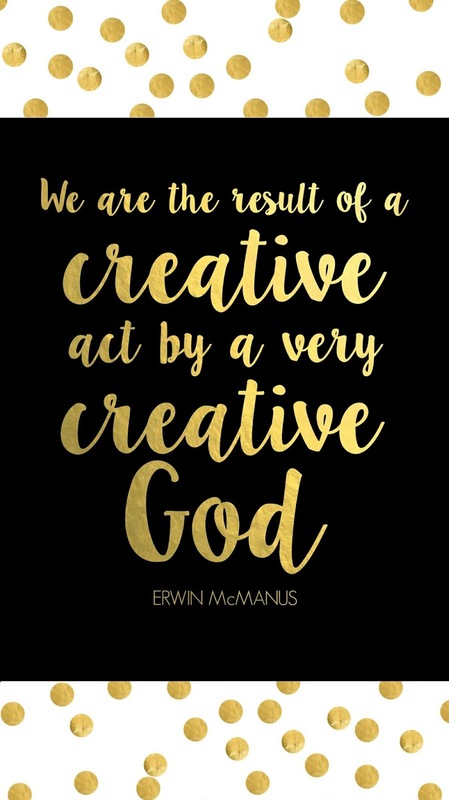 The sequin graphic I found on Canva. And then I used PicMonkey to add text, etc. Feel free to use the signs and tag but for personal use only please. I made all of my favorite party foods! Even the cake! 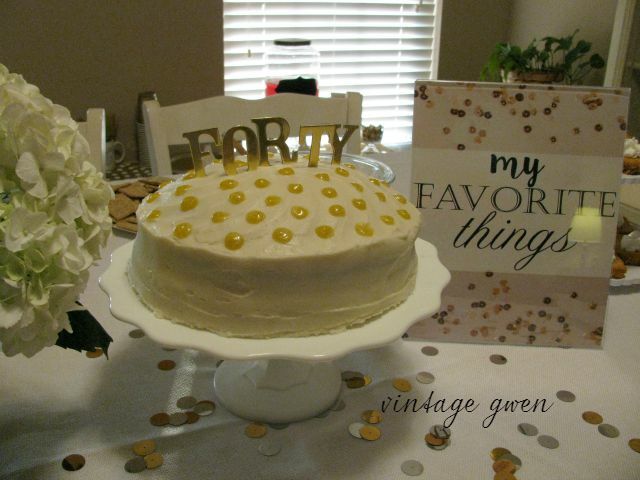 I found some gold chipboard letters at Hobby Lobby to use as a cake topper. My friend frosted the cake and added gold icing dots for me! Used only gold and white dishes and sprinkled the table with gold and silver big confetti. Oh and fresh hydrangeas! 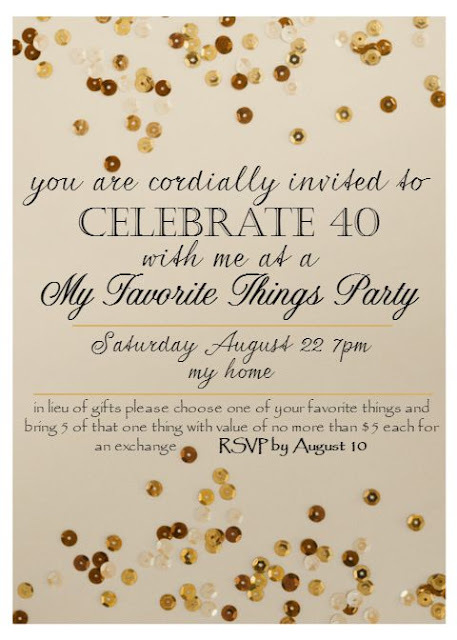 I took inspiration from a few parties....one by Java Cupcake and one by Shannon Finds Joy. After eating we played a 'my favorite.....' game (printable here). I guess it's like Scattergories ( I've never played! 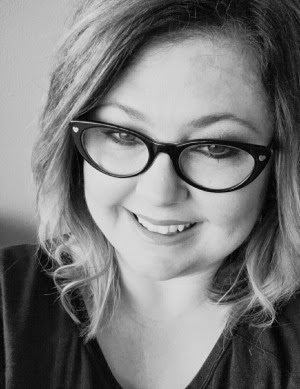 ), you have everyone answer what their fav food, fav vacation spot, fav websites, etc and then go over answers and the person with the most unique answers is the winner. I prepared 2 prizes and had 2 winners! Then it was time to exchange our favorite things! I had everyone bring 5 of one item no more than $5 of value. I had everyone write their name 5 times and put them in a bowl. Then each lady chose 5 different names, making sure not to get their own name or duplicate any name. We had a total of 9 ladies so at the end of drawing names we had to do some rearranging of names to get it just right. Next, one by one we told why our item was our favorite and then gave them to the ladies who we had drawn names. Prior to the party I asked everyone to give my their favorite nickname. 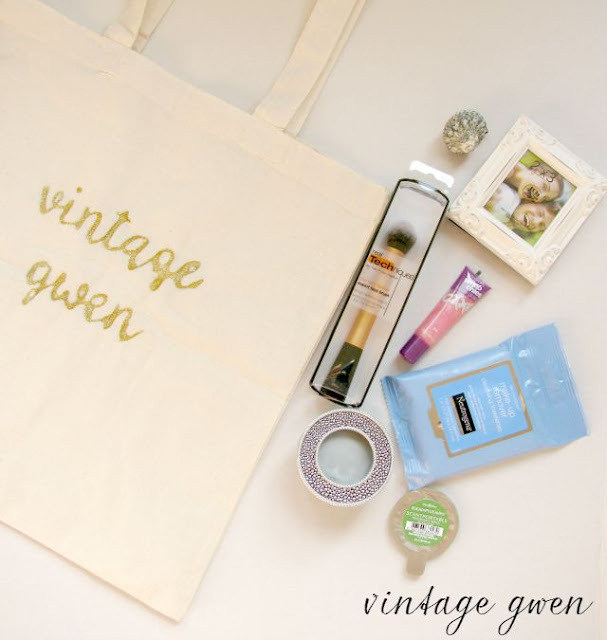 I then made everyone a tote with that name in glitter so they'd have something to tote their goodies home in! I gave a $3 gold striped plastic tumbler perfect for iced coffee! The items above are what I got...makeup brush, lip gloss, frame & seashell, makeup wipes, and a visor scent clip. Others items were post it notes, chap stick, & orange slices. Everyone loved their bags and what they got! And it was so much fun hearing why the item was a favorite! 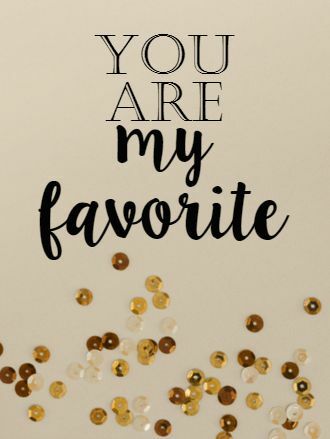 I attached the tag that said 'you are my favorite' to every bag....I wanted my friends to know they were my favorites too! I really think this is the way to celebrate a birthday!! I mean yes, you can totally do this any time but for someone who talks the love language of giving, I loved seeing my friends receive! That was the best gift ever!! Welcome to another party day! Thanks so much for being here today!! I stumbled across an Erwin McManus quote yesterday that I absolutely love and thought it needed to be a printable!! And an Instagram and a lockscreen! 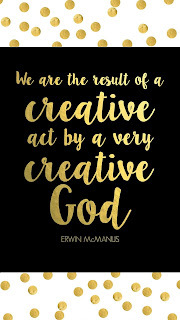 I'm loving all things gold right now and wanted the words to be gold and I knew I couldn't really achieve that with any of the apps I use so I googled and found a great tutorial on how to make fonts gold and low and behold it involved PicMonkey!! Ha! My favorite you know! I know it's hard to see in the picture, it did print out better than I expected!! 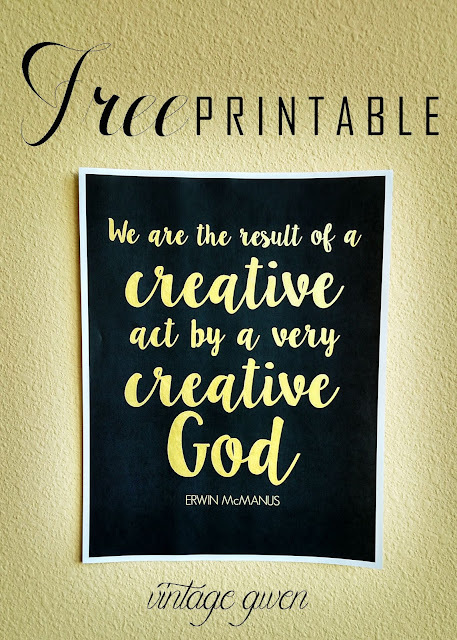 Right click and save and print! And using the Blending App, my graphic and a free Rhonna Designs background I made a lockscreen for my phone this morning! Fun stuff!! 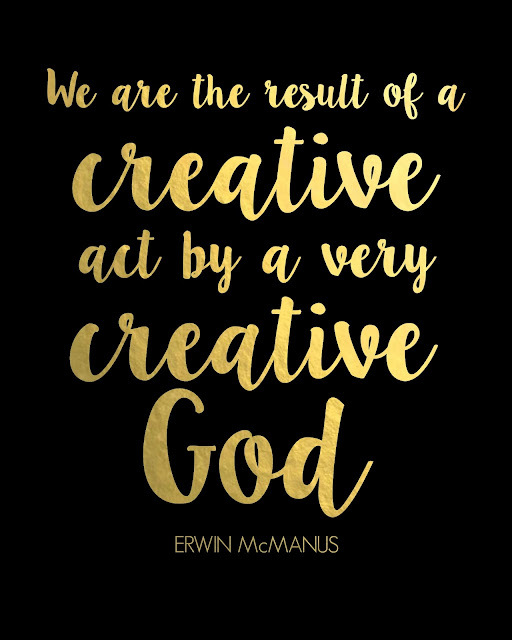 Hope this goodness uplifts you today!! Thanks so much for being here! Have a happy Wednesday! 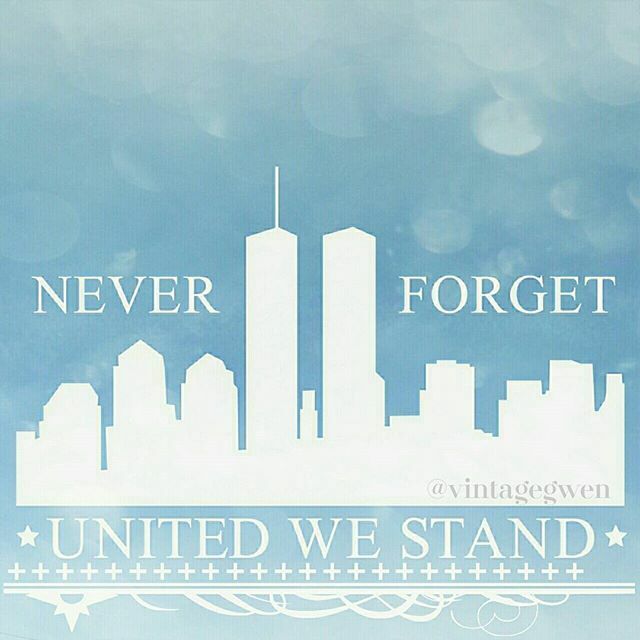 Praying for those who lost loved ones....may your happy memories comfort you today. Lovelies!! Are you on Periscope yet? Oh my I've loved it so much I've about used up all my data! Eeek! (Just fyi....wifi gets hung up time to time but not so if you use your data so if you have limited data then just beware!) I've just been fan girling Rhonna Farrer, maker of one of my fave apps Rhonna Desgins. Ha! I haven't explored much....I did watch an Aussie guy surf....kinda cool! I'm still trying to figure out what I would Periscope about so.....!! Let's get to partying! Thanks for being here!! Have a Happy Wednesday!